This image is the result of numerical processing of one Baily's beads image taken with 1/4000 s exposure and 22 more images taken later with various exposure times. 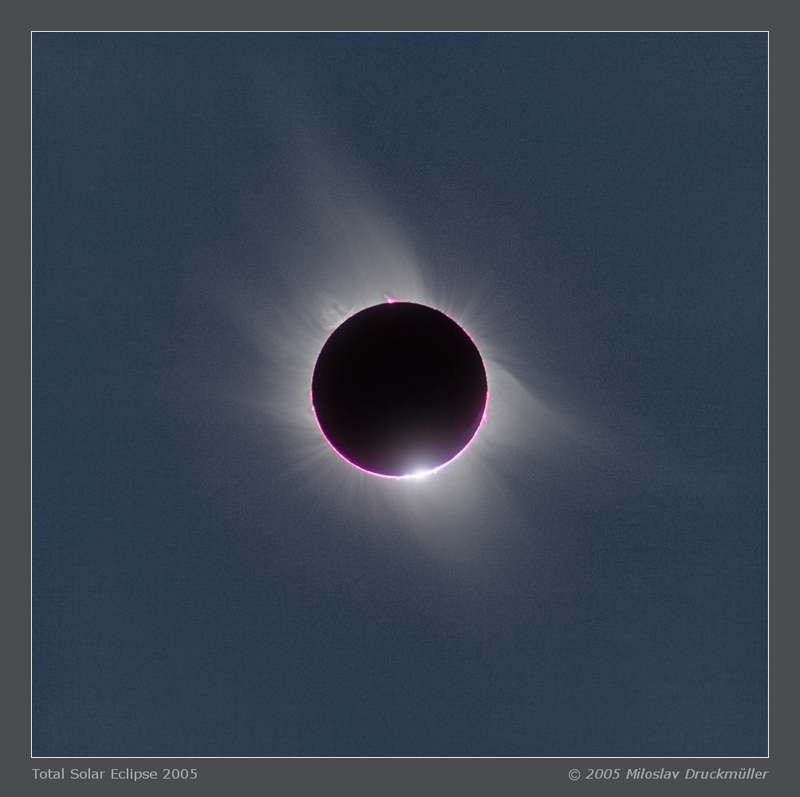 These 22 images taken later after the Baily's beads had disappeared were used only for improving the corona contrast with no influence on the image brightest. 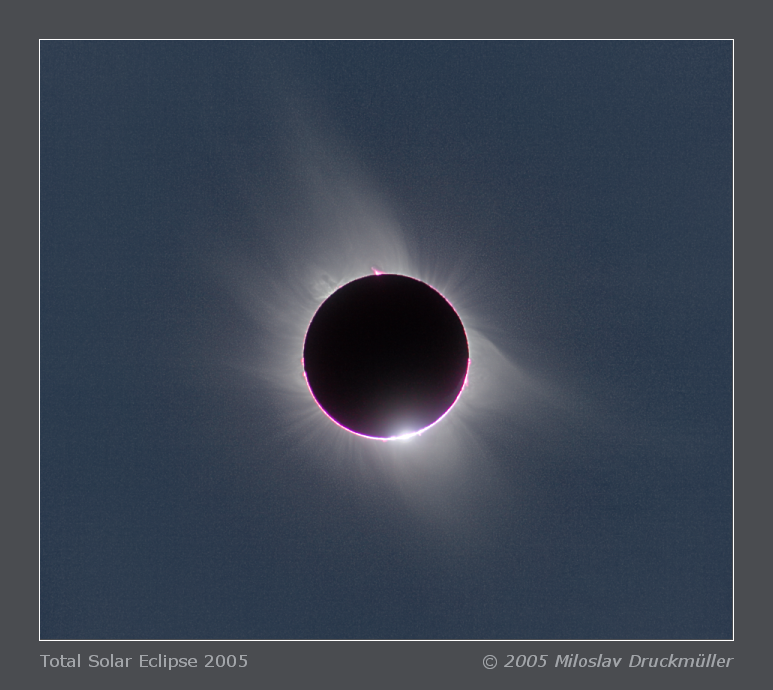 The processing of such a number of images enables to enhance even the fine details in the corona and to create such an impressive and rather realistic picture. The biggest problems in image processing were low contrast and diffuse light caused by cirrus cloud and that it was not possible to take long exposure images because of the movement of the ship. Finally the result is much better than I expected shortly after the eclipse.